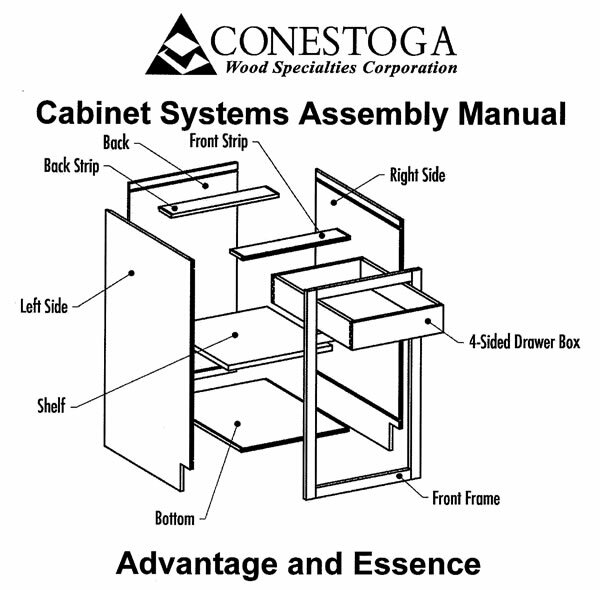 The assembly process for Conestoga's cabinet boxes takes very few tools, not much time, and can be easily completed by a beginner. Most customers tell us that the average cabinet takes between 10 and 15 minutes to put together. All joints where sides, top, bottom, face and back meet are routed to exact specifications so that the parts fit together snugly. The unique splines that are included help to minimize or eliminate any need for clamping while the glue dries. See the assembly manual below for further details. Adobe Acrobat Reader version 7.0 or higher is required to view PDF files on this site. This is a free program available from the Adobe web site. Follow the download directions on the Adobe web site to get your copy of Adobe Acrobat Reader.